May 15, 2015 - Research commissioned by Etihad Airways, the national airline of the United Arab Emirates, has quantified a range of government and court-sanctioned benefits and concessions received by the three biggest US carriers, Delta Air Lines, United Airlines and American Airlines Group, and other airlines with which they have merged. 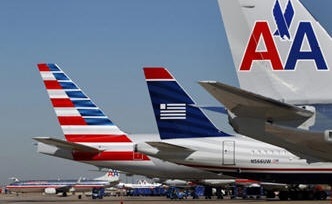 These US airlines have received benefits valued at US$71.48 billion, more than US$70 billion of which has been since 2000, enabling the nation’s three largest carriers to transition from the verge of bankruptcy to today’s industry leaders, each achieving multi-billion dollar profits. Last year, the three big US carriers generated collective net profits of US$8.97 billion, equivalent to 45 per cent of the total US$19.9 billion profits achieved in 2014 by the global airline industry. The trend has continued into 2015, with all three major US airlines announcing strong net profits for the first quarter. The international consultancy The Risk Advisory Group, which conducted the research for Etihad Airways, identified that the majority of benefits which accrued to Delta, United and American came from restructuring under Chapter 11 of the US Federal Bankruptcy Code, yielding them at least US$35.46 billion, and additional pension fund bailouts totaling US$29.4 billion from the US Government’s Pension Benefit Guaranty Corporation. Etihad Airways has consistently denied claims by Delta Air Lines, United Airlines and American Airlines that it received subsidies, and has stated publicly that it has received equity and shareholder loans from its sole shareholder, the Government of Abu Dhabi, the largest emirate and capital of the UAE. Back in August 2014, Emirates Airlines began operating service out of Chicago O’Hare. Offering service to Dubai International Airport in the United Arab Emirates. The carrier is competing with the three big U.S. carriers, United Airlines, American Airlines and Delta Air Lines. The carriers released a report in March claiming Emirates, Etihad Airways and Qatar Airways have received $42 billion in illegal subsidies over the past decade and they are unable to compete against the carrier's airfares because of these " illegal subsidies". • American Airlines with combined benefits estimated at US$12.05 billion. • American Airlines achieved bankruptcy debt relief totaling US$1.56 billion, and pension termination benefits of US$8.08 billion. These figures include restructuring and bailout benefits achieved by other US airlines, since absorbed by Delta Air Lines, United Airlines and American Airlines. May 15, 2015 - Allied Pilots Association President Capt. Keith Wilson issued the following statement regarding today's letter from Chicago Mayor Rahm Emanuel urging the Obama administration to open consultations with Qatar and the United Arab Emirates regarding government subsidies to the three Gulf carriers. "Mayor Emanuel is exactly right — government funding means the Gulf carriers aren't accountable to market forces, enabling them to grow at an astounding rate. As Mayor Emanuel urges, it's essential for the U.S. government to open consultations with Qatar and the United Arab Emirates to protect fair and equal competition in our skies. "On behalf of the Allied Pilots Association leadership and the 15,000 pilots of American Airlines and US Airways we represent, I want to express my gratitude to Mayor Emanuel for his outstanding support on this issue. With 9,000 American Airlines employees in the Chicago area, we have a major stake in the community and in our airline's future there as a leading international carrier. "We echo Mayor Emanuel in urging the Obama administration to take all necessary steps — including a freeze on new routes by the Gulf carriers while consultations proceed — to ensure that the open-skies agreements our nation has entered into are being complied with by all participating parties. Hundreds of thousands of middle-class airline employees who work hard and play by the rules expect our country's trading partners to do the same. Our livelihoods depend on it." Founded in 1963, the Allied Pilots Association — the largest independent pilots' union in the United States — is headquartered in Fort Worth, Texas. APA represents the 15,000 pilots of American Airlines and US Airways, including several hundred pilots on full-time military leave of absence serving in the armed forces. The union's website is www.alliedpilots.org. American Airlines is the world's largest passenger airline. APA is a member of the Partnership for Open and Fair Skies, which is calling on the Obama administration to open consultations under the open-skies agreements with Qatar and the United Arab Emirates to address the flow of subsidized capacity to the United States and seek a freeze on new passenger service during the consultations.